While not technically medications, it is still possible for vitamins to interact with your prescription drugs as well as over-the-counter products. Vitamins and antibiotics, in particular, can interact, leading to many people wondering if taking antibiotics with vitamin C is safe. What Happens If You Take Antibiotics with Vitamin C? Based on some research, it appears that combining antibiotics with vitamin C will actually reduce the time it takes you to recover and enhance the effectiveness of the antibiotic. Vitamin C consumption may increase the concentration of tetracycline, an antibiotic, within your body. The downside, however, is that this interaction may reduce the vitamin’s effectiveness. A similar result happens with other related antibiotics, such as minocycline and doxycycline. Other research has shown that taking antibiotics with vitamin C may actually help fight against cancer stem cells. This treatment may treat the tumors and reduce the risk of remission. During their studies, scientists mixed vitamin C with the antibiotic doxycycline. This combination was as much as 100 times as effective when it came to killing cancer stem cells as 2-Deoxy-D-glucose, another anti-cancer agent. These results are based on tests in a lab. That previous study examined how vitamin C could help kill cancer stem cells via preventing mitochondria in the cells from generation energy. The antibiotic begins by stopping cancerous cells from moving between energy sources as a way to stay alive. Instead, the cells must rely just on glucose. Scientifically, this is called being metabolically inflexible and that change alone can kill some cancer cells. Scientists believe that the drugs which survive the change to becoming metabolically inflexible are drug-resistant. That is why some people do not see complete results from drug treatments from cancer. Once the cancer cells are limited to a single energy source, vitamin C delivers the next “punch” by eliminating the glucose source. As a result, the cancer stem cells essentially starve to death. 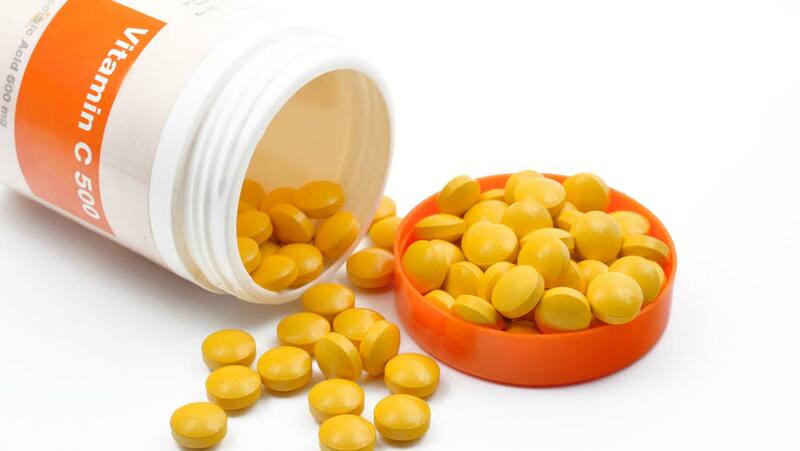 Experts hope that because both vitamin C and doxycycline are non-toxic, this type of treatment can prove effective and be developed while minimizing side effects. As a caveat, the current research only uses regular lab tests and there still hasn’t been work done in humans or even animals about taking antibiotics with vitamin C. Because of this, cancer patients should not try to treat themselves with this combination. An additional limitation is that the research focuses on breast cancer cells so there is no telling how limited its application will be. Even so, the research so far is very promising. This is particularly true since it relates to cancer stem cells which are considered the major agents behind the growth and return of tumors. Cancer stem cells are similar to regular stem cells in that they can develop into another type of cell. At the moment, experts theorize that just like regular stem cells can serve any function that we need for biological functions and natural growth, cancer stem cells do this same thing with tumors. Therefore, by attacking the cancer stem cells, we are attacking the cancer at its core. What About Other Common Vitamins? You already know the benefits of taking antibiotics with vitamin C, but what about other vitamins? For those unfamiliar with it, vitamin B12 helps your body convert food into fuel. It also helps you grow nails and hair that are healthy and maintain the neurological system. While vitamin C reacts well with antibiotics, the opposite is true for B12. The University of Maryland Medical Center cautions against taking vitamin B12 when on a tetracycline-based antibiotic. That is because the vitamin limits the antibiotic’s ability to kill the infection’s source. You should also avoid other B-complex vitamins due to similar effects. If you are on B supplements and prescribed a tetracycline-based antibiotic, ask your doctor if you should temporarily stop taking the vitamin. Vitamin K helps with blood clotting, assisting the wounds so they stop bleeding and start to heal. The same team at the University of Maryland Medical Center cautions that antibiotics may destroy bacteria within the body which help produce vitamin K. Cephalosporin antibiotics, in particular, may also reduce your body’s capabilities for absorbing vitamin K, especially if taken for over ten days. Those on blood thinning medications and those who are elderly have the highest risk of a vitamin K deficiency. Because of this interaction, anyone who is taking vitamin K and prescribed an antibiotic should consult their doctor. You may need to adjust your dose of vitamin K to avoid developing a deficiency. Vitamin D can be found in certain fortified foods, including milk and cereal, and it helps your body maintain the ideal levels of phosphorus and calcium. It also manages the immune system. When used with antibiotics, vitamin D can increase their efficacy. Combining vitamin C and vitamin D with niacin and antibiotics can help treat bacterial infections, but you should consult your doctor before combining these substances. Regardless of the vitamin you want to combine with antibiotics, or any other medication for that matter, you should always talk to your doctor. Every person has a different reaction to medications and different medicines will be impacted by supplements in varying ways.